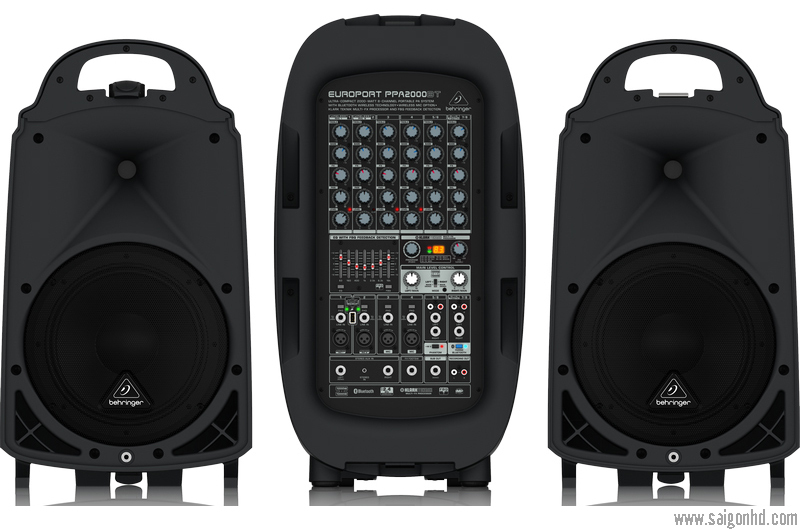 The EUROPORT PPA2000BT packs amazing power and sound quality into a compact, portable suitcase-style PA system – that’s fast and easy to set up. 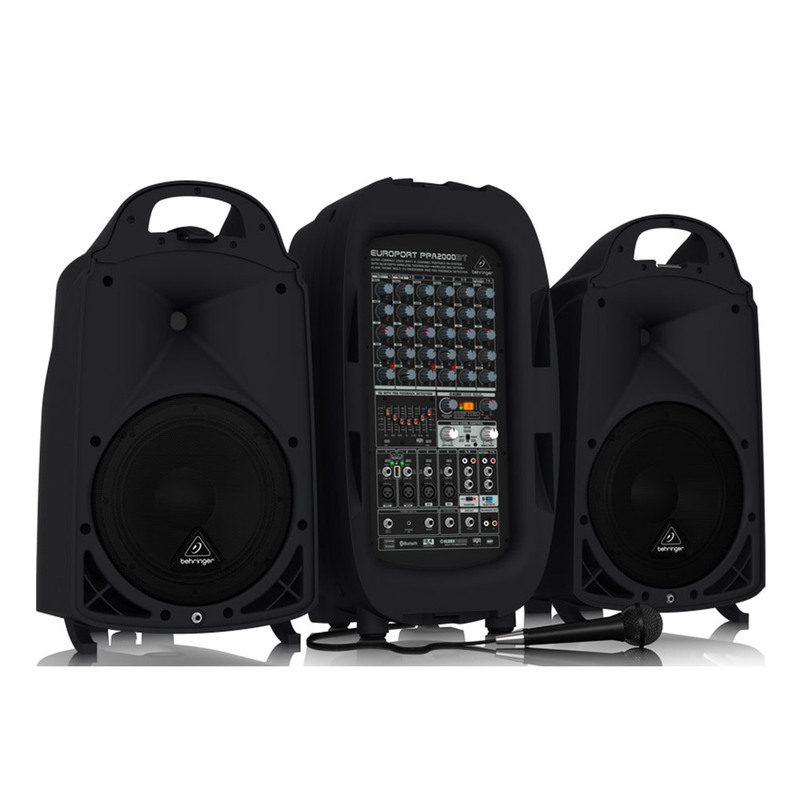 The PPA2000BT’s integrated 8-channel mixer has enough inputs for 4 microphones, 2 musical instruments, your favorite MP3 player and more – making it ideal for parties, schools, corporate and educational presentations, working musicians and even weddings. 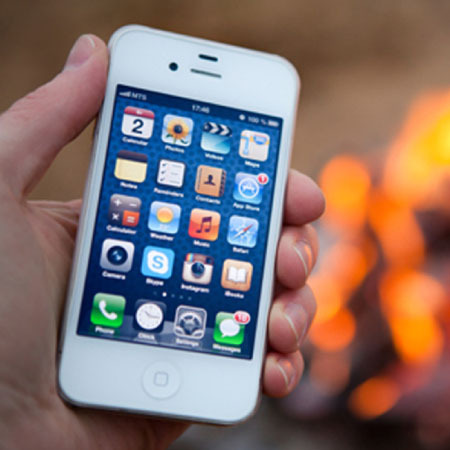 Built-in Bluetooth connectivity allows you to stream music from your smart-phone, tablet or other Bluetooth-equipped device. Best of all, the PPA2000BT is “wireless ready” for our high-quality ULM Series digital microphones, so you can become completely mobile. This powerful, 2,000-Watt marvel also features the crème de la crème of professional vocal effects from world-famous KLARK TEKNIK – and our amazing FBQ Feedback Detection System for the ultimate freedom from feedback. 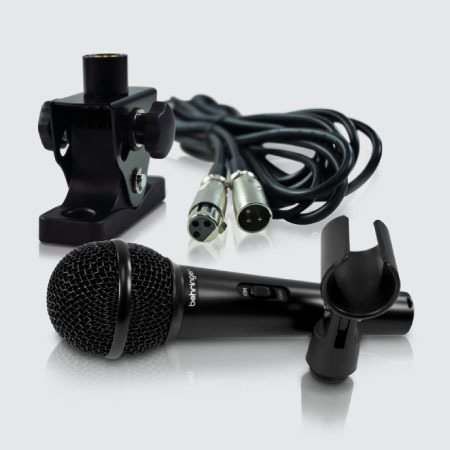 We’ve even included a high-quality microphone, and all the cables and accessories you’ll need, so you’re ready to go – right out-of-the-box! 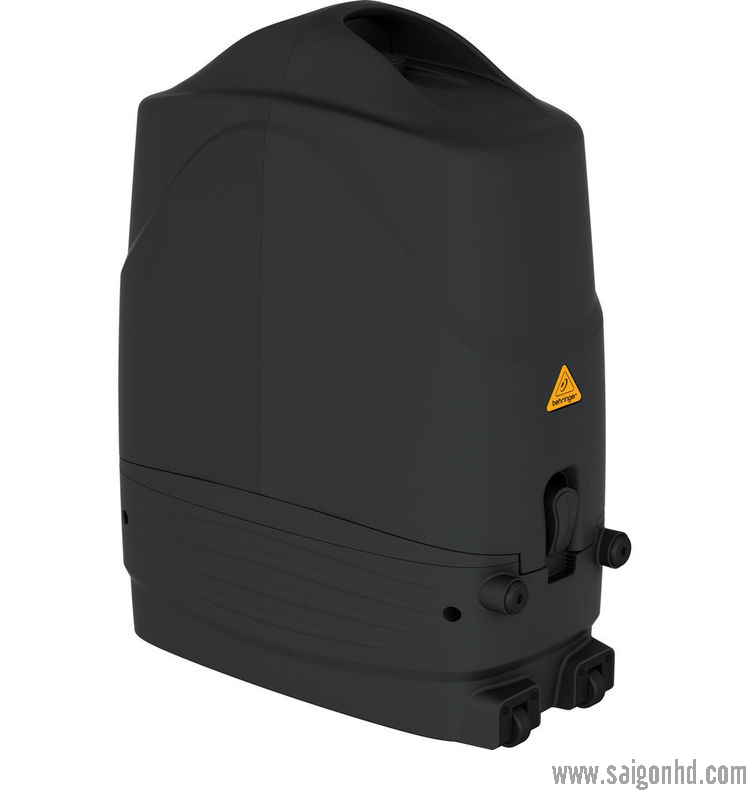 The PPA2000BT might look small, and the super-light weight makes it amazingly easy to carry– but it’s really BIG on power and features. The internal 2,000-Watt stereo amplifier is capable of driving the detachable loudspeakers to rich-sounding and room-filling volume levels. High-powered 10" woofers provide punchy low-end and articulate midrange, and the 1.35" aluminum-diaphragm compression drivers off er crystal-clear sonic reproduction. 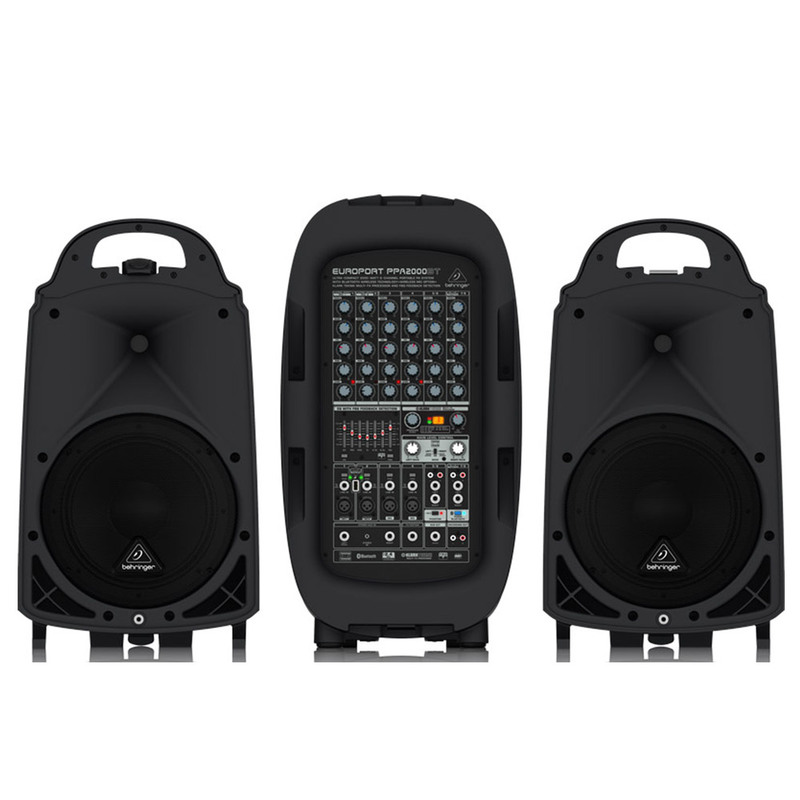 And If you want to go really big , there’s a Subwoofer Out jack on the mixer’s front panel for connecting one or more of our active subwoofers ( B1200D link ) – for a huge dose of chest-pounding bass! Get wireless-ready with the built-in, dedicated connectivity of ourULTRALINK ULM Series wireless microphone system. Wireless gives you maximum freedom and mobility without the need to run cables. The highest-quality sound is provided thanks to the ULM’s digital, license-free 2.4 GHz frequency spectrum. 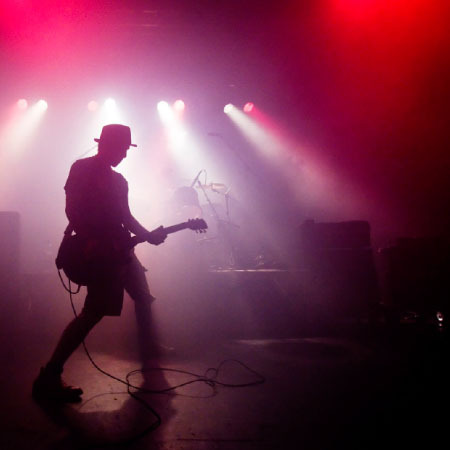 KLARK TEKNIK is recognized worldwide as one of the most prestigious British audio companies, with a 40-year pedigree and even a TEC Lifetime Achievement Award to back it up. 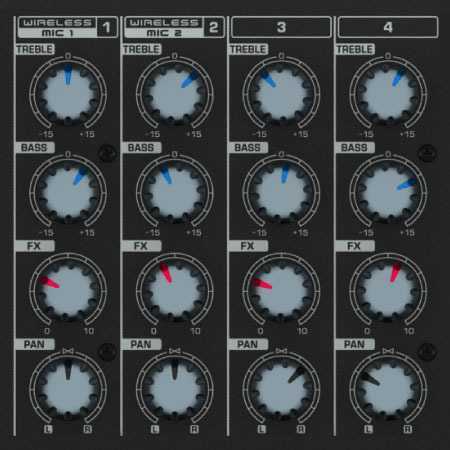 The Company has designed and manufactured products for world-class artists, and their legendary DN780reverb processor is considered by leading audio engineers around the world as the industry standard. 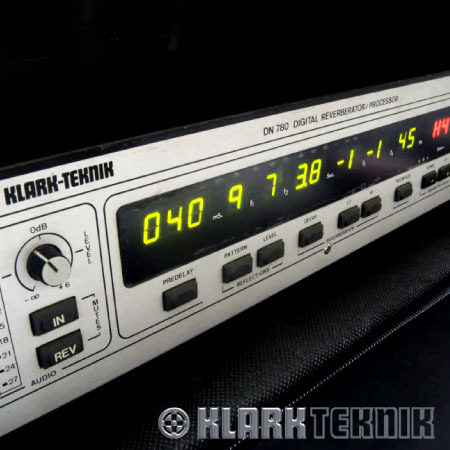 Check out their website to learn more about KLARK TEKNIK’s legendary heritage. 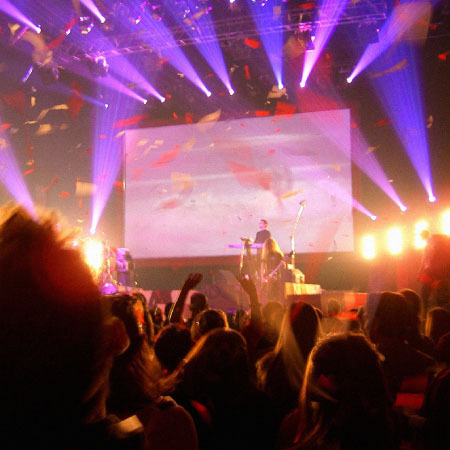 BEHRINGER is proud to incorporate custom-engineered KLARK TEKNIKeffects into their products. Featuring 100 world-class presets to choose from including reverb, chorus, flange, delay, pitch shift and many other amazing effects, KLARK TEKNIK created the 24-bit, studio-grade effects engine for BEHRINGER – to give your performance that truly professional finishing touch. Channels 1 – 4 feature our high-quality “Invisible” Mic Preamps (IMP), which have been praised for their transparency and headroom. 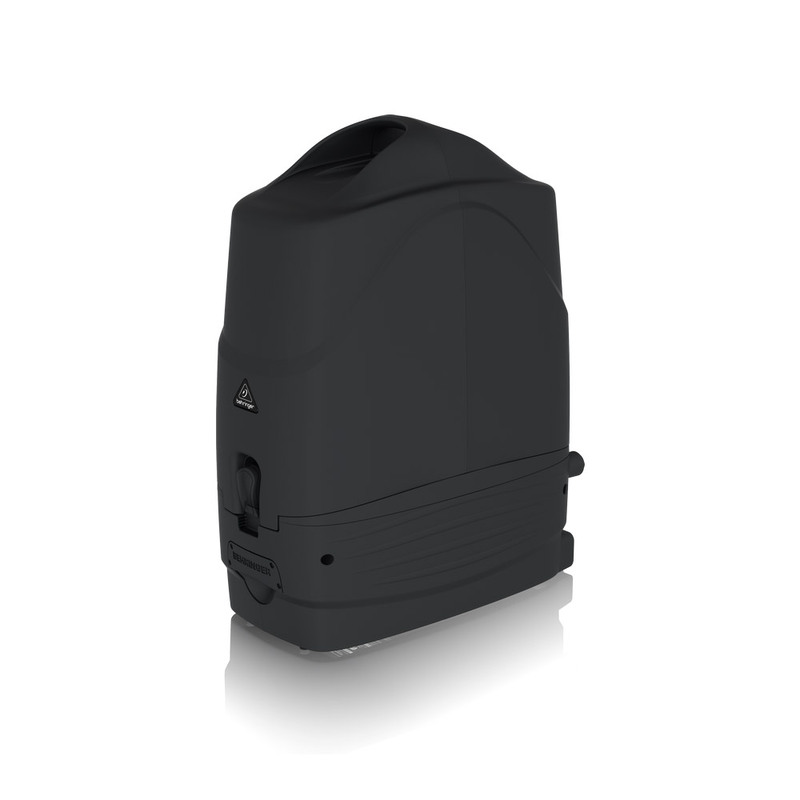 A Level control is provided with a Clip LED, so you can dial in the perfect signal level. We’ve also provided a Pad switch for those occasions when you have to contend with “hotter” than normal input levels. 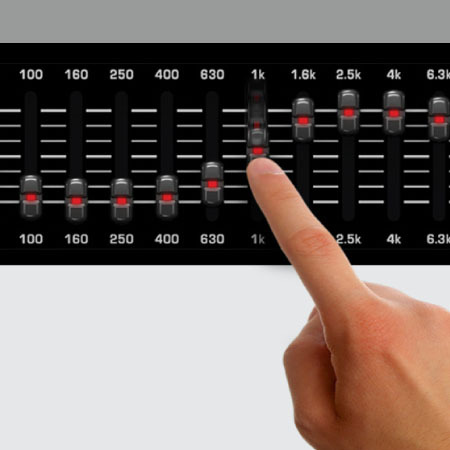 Additionally, each channel has its own dedicated two-band EQ (Bass and Treble), Pan or Balance - allowing you to place the signal wherever you want within the stereo image - and an FX level control. The PPA2000BT’s two high-quality, detachable loudspeakers and our great-sounding XM1800S microphone (with all the cables and accessories) complete this amazingly powerful and versatile portable PA system. Everything packs neatly away into one ultra-lightweight “take-it-with-you” suitcase-style format. 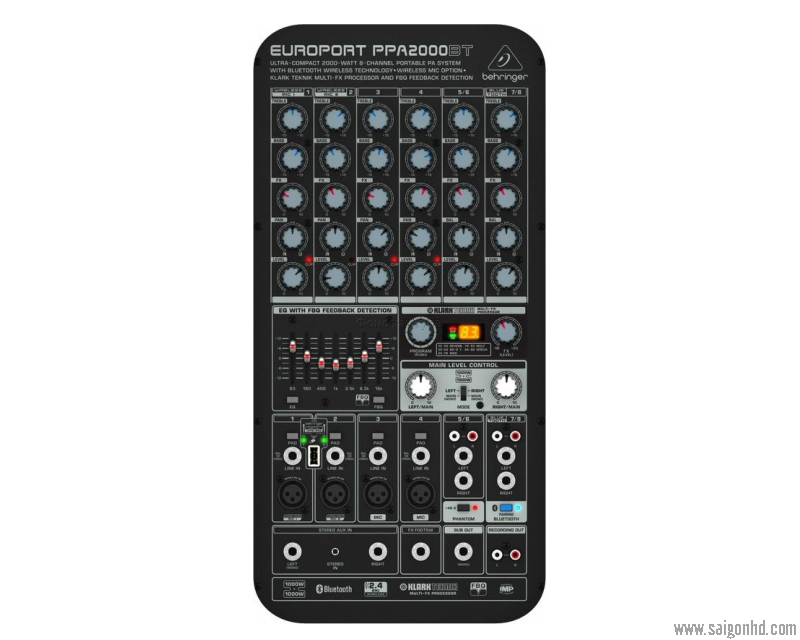 The EUROPORT PPA2000BT lets you bring it all to virtually any medium to large gathering – a lightweight, 2,000-Watt “wireless-ready” 8-channel mixer-amplifier with +48 V phantom power that can handle 4 microphones, two stereo or 4 mono musical instruments and your favorite Bluetooth audio player. Plus, you get exceptional 2-band channel EQ, and a stereo 7-band graphic EQ with our revolutionary FBQ Feedback Detection System.